Evidence for x86 emulation in Windows 10 'Redstone 3' - Surface Phone a year away? Published yesterday over at ZDNet by Microsoft confidante Mary Jo Foley, and widely linked to, is a summary of what she's been hearing from her many sources. It seems that 'Redstone 3', scheduled for Autumn 2017, may include a x86 emulator when a suitable phone (perhaps only the current HP Elite X3 is capable) is in Continuum mode. So presumably you'd kick off 'Intel Workspace' (or whatever) and any installed/contained Intel x86 legacy applications would run in software emulation on the larger secondary display. Mind you, this is all at least a year off, so don't get too excited. Since January 2016 (and maybe before), there's been talk that Microsoft was working on bringing x86 emulation to ARM processors. Sources of mine are now saying that this capability is coming to Windows 10, though not until "Redstone 3" in the Fall of 2017. Here's why this matters: Microsoft officials continue to claim that Continuum -- the capability that will allow Windows 10 Mobile devices to connect to external displays and keyboards -- is going to be a key for the company, its partners and its customers. There's been one very big limitation to Continuum so far, however: It only allows users to run Universal Windows Platform (UWP), and not full-fledged x86 apps. What if an ARM64-based device could run x86 apps via emulation, the same way that the WOW (Windows on Windows) emulator allowed 32-bit apps to run on 64-bit Windows? That would make Windows 10 Mobile, which as of now, continues to support ARM only, and Continuum a lot more interesting, especially to business users who need certain Win32/line-of-business apps. Plus a number of high end Microsoft accessories, from docks to folio keyboards/stands, and there you have a (possibly) game changing 'PC in your pocket' phone, i.e. the 'Surface Phone' would be the HP Elite X3 but on steroids, effectively. Such a device would bery much still be aimed at businesses and professionals though - when was the last time you heard a consumer needing to run a legacy x86 application on their phone? A x86 emulation system would only really be of use for people centred in the likes of Microsoft Office, Photoshop, Access, Visio, and so on. According to Mary Jo, the 'Cobalt' x86 emulation on ARM is currently on the list of features that Microsoft is planning to make part of Redstone 3. Insiders should be able to start to play with this branch of Windows 10 around next May, though the ARM64 hardware requirement may preclude most current Insiders from trying out the functionality mentioned here. Anyone here technical enough at the OS level to know how practical it would be to upgrade a phone with a 32-bit OS to a 64-bit version? 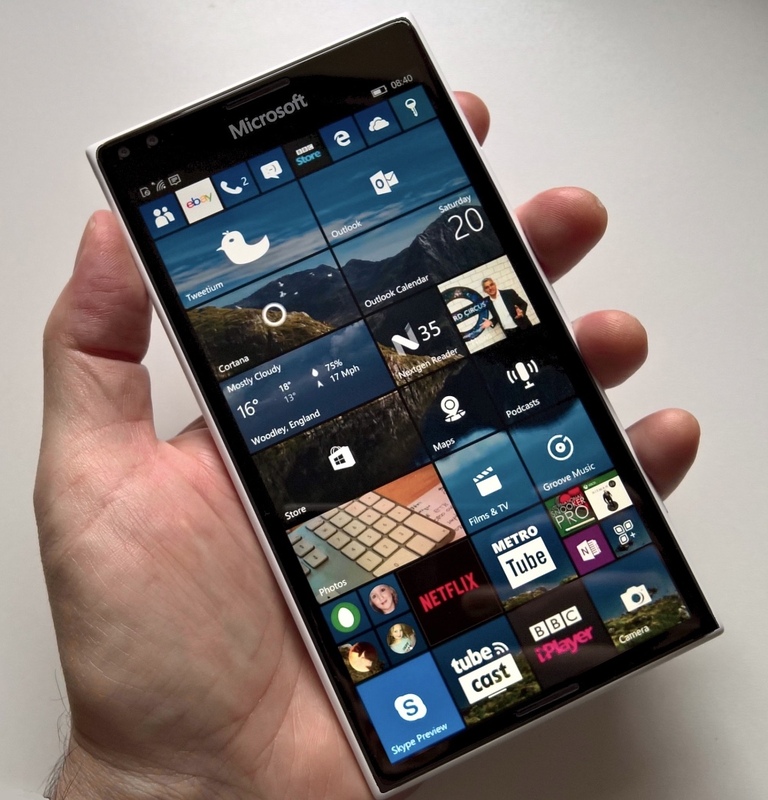 After all, today's Lumia 950 and 950 XL are powered by the Snapdragon 808 and 810, both 64-bit chips. But surely this couldn't be done with a simple over the air update - wouldn't it have to be a 'reflash' using a dedicated Win64 upgrade utility? Anyway, the timescales all match - add in Mary Jo's credibility and you can probably file all the above under 'coming in late 2017' rather than 'wild speculation'. Filed: Home > Flow > Evidence for x86 emulation in Windows 10 'Redstone 3' - Surface Phone a year away?